I’m proud to have stood shoulder to shoulder with Wordsworth Drive and Sugar Hill Close residents throughout the long campaign to save their homes. This year will see a decision made whether the planning application goes ahead or not, which could be in the coming months. It’s wrong that residents were put in this limbo in the first place. It’s wrong that a private landlord has such power over tenants, many of whom have little or no rights. It’s wrong that people’s homes and part of our area’s heritage are under threat of demolition. I’ve backed residents in various ways, I’ve worked closely with the Save Our Homes group throughout the campaign to come up with ideas and support the group to fight the demolition of their homes. Made sure a deputation of residents could speak at full council and I’ve spoken at full council in support of residents’ plight. I organised for a lawyer to come to the estate to speak to the action group of residents to get initial legal advice. I brought Chris Kitchen from the NUM to the estate, secured involvement from the National Union of Mineworkers. 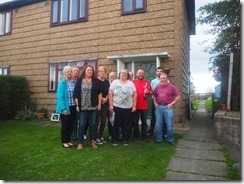 It was a sight to behold residents marching to ‘Save our Homes’ through Rothwell. I Organised the march with residents and the NUM and proudly marched with the National Union of Mineworkers, residents of the estate, local community groups and the Rothwell Labour Party. I brought the executive board member twice and Director of Housing and Communities to the estate to talk with residents. I’ve helped to secure media coverage on numerous occasions. Supported residents at meetings including when Pemberstone finally agreed to meet with residents. As chair of the Outer South Community Committee, brought the issue to the agenda where the committee has put in its own objection to the planning application in support of residents as a formal committee of the council. The committee also reiterated the request I and residents already made to the council to look into the possibility of buying the homes on the estate. Albeit with budget cuts, the council is cash strapped and depending on the planning decision, the land value would sky rocket if planning permission did get granted. We must stick to the goal. Together we can win this. Great news for Rothwell as it has been confirmed that we are to get a new extra care housing complex. Leeds City Council has appointed a delivery partner to build and run the new extra care home in Rothwell, which will be built at Windlesford Green on Holmsley Lane. The new partner was appointed after a rigorous procurement process and is made up of a group of social enterprises and commercial companies with specialist expertise in providing homes and care for the elderly. The new care home is a relatively new type of home called ‘extra care’ which means that people can live independently in their own small homes on site while benefiting from specialist 24-hour care and support on site. Some have two bedrooms and couples can still live together in their own apartment when one may need care. The extra care home in Rothwell is one of just four new homes in Leeds. One of the other three is also relatively local as it is in the next door Ardsley and Robin Hood ward. Building work on the four new extra care housing schemes will start towards the end of this year and all four homes will be open and taking residents by spring 2021. The new extra care home will provide homes for people with care needs, as well as shared facilities such as dining, activities and on-site access to 24/7 emergency and unplanned care. The new extra care home is the result of years of work by me and a community involvement group that I set up to support the project. 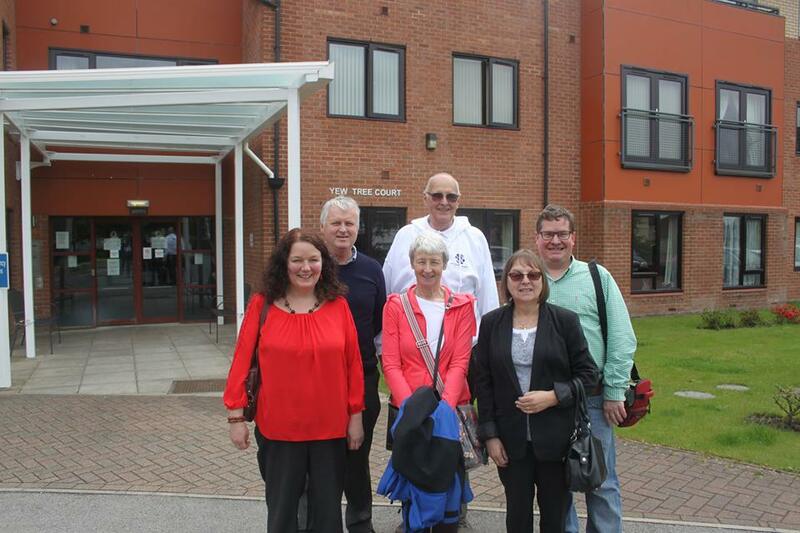 The involvement and enthusiasm of our extra care community involvement group ensured that Rothwell was one of the four wards picked for a new home as many areas in Leeds were also lobbying for new extra care homes. I’ve been impressed with the passion and commitment of the Rothwell extra care group members and thank them for helping to make this possible. As part of the work we did, we visited two existing extra care schemes to help us understand how they could help local people. I was impressed that people can have a proper home, with bedroom/s, living room, kitchen, bathroom etc but still benefit from excellent support and healthcare. Today many people don’t want to live in a traditional care home where they only have a small bedroom. Extra care means they have more space and somewhere private to welcome friends and family. It helps them to maintain their independence and remain healthier for longer. The input of the Rothwell extra care community group helped inform the council’s tender process. It means that a key aspect of the new care home will be a community link aspect with a vision for an open inclusive space where older people living in the home can come together with people in the wider community, to provide a hub where community social activities, dining, coffee and more can take place rather than be isolated in a closed off care home. The delivery partner is made up of the Home Group, Ashley House and Morgan Ashley. The Home Group is a social enterprise and one of the UK’s largest housing associations providing homes to more than 116,000 people. Ashley House specialises in delivering health and community-based construction projects, while Morgan Ashley is its specialist finance joint venture company with investment company Morgan Sindall. The scheme is in the very early stages and the wider community as well as the Rothwell extra care group will be consulted and have your say before plans are submitted for approval. I’m looking forward to seeing this great new addition for Rothwell. Great news for younger children as the first phase of the new Springhead Park playgrounds, the toddler playground for children ages one to seven, is set to start work week commencing 4 February, weather permitting. It’s fantastic that work on the younger children’s playground at Rothwell Springhead Park is set to start. It’s great when a project I’ve worked hard on for ages finally happens. The start date comes after it was announced earlier that the £39,000 of funding was confirmed from Veolia to compliment the £50,000 funding earmarked by the Rothwell Labour councillors earlier for the toddler playground and £40,000 on some new equipment for the older children’s playground. Having initiated the plans for the playground, I’ve been keen to make it happen as quickly as possible. It’s been a priority for me and I know a lot of residents for a long time for new playgrounds for Rothwell Springhead Park. When myself and my former ward councillor colleague David Nagle asked residents what they wanted S106 green space monies from recent developments spending on play equipment was at the top of the list. So many local children, including my daughter, have loved playing on the current playgrounds over the years and have fond memories, but as time goes on much of the equipment needs replacing as it becomes worn. I’m keen to see more dynamic and challenging pieces of equipment for older children, such as zip wire and other popular equipment. This will be the next phase in improving our park this summer. Outdoor play is great for children. Playing outside helps children to develop their learning abilities. Outdoor play is great for encouraging children’s creativity. There are numerous health benefits to playing outside. Other benefits to local children include social skills, well-being, independence and exploration. It will be great to see local younger children enjoying their new playground this spring with their parents, grandparents and carers! – deadline for consultation Friday 21 December 2018. As the deadline approaches for the HS2 consultation I thought it was vital to remind local people how important it is that you respond and tell HS2 and this government what you think! We all knew that HS2 would bring devastation to our area, but these latest documents really spell out the level of disruption that would come to the area. I have put in my own strong objection and comments to this consultation. I can’t support HS2 and the chaos it would bring coming through Woodlesford and Oulton and have done the same since the HS2 journey began responding to all the consultations and lobbying on behalf of local people. As your elected representative for Rothwell I am against HS2 bringing a huge blight to Woodlesford and Oulton. I will always do what I think is best for our area. I urge you to respond to the consultation as the impact on Woodlesford and Oulton will be huge and far reaching. I have been one of the voices arguing from the start and am continuing to argue that the route should be moved away from Woodlesford so that it doesn’t impact on as many people and a whole village. It’s disappointing and unacceptable that Chris Grayling, continues to ignore the wishes of local people and isn’t good enough. I’ve also lobbied for the council’s response to highlight the blight on local people and demand a better deal for residents. Health impacts – disturbance of old landfill and mining sites which are likely to contain asbestos and lead. Air pollution – More traffic and dust, HS2 not planning to monitor. Noise and vibration – During construction and even through the night, disturbing and possibly harmful. Thresholds set too high by HS2. Well-being – Residents have already suffered stress and anxiety due to the limbo and worry which will only rise when construction gets underway. Proximity – Construction compounds too close to homes including in Woodlesford. Homeowners – Unfair compensation package, too many hoops to jump through and most will not be eligible for compensation but many will be impacted by house prices and inability to sell. Flooding and subsidence – Untold what the impact of construction will be on flooding and home insurance. Major impact on local traffic – There will be major local road closures which will force traffic onto already congested routes causing gridlock. Hundreds of workers will travel to and from construction sites. Train station closures – Woodlesford station would have closure/s for an unknown period of time, whether it would be totally closed or closed at weekends it will cause major further disruption. Business – No compensation for businesses or landlords even though they will be impacted negatively due to closures. Green space decimated – Most of Water Haigh Woodland Park will be used for construction. There will be an unacceptable loss of woodland, parks and green belt. This will harm local wildlife. Changes to the local landscape will be adverse and unacceptable. The blight of our villages from this huge engineering project cutting straight through them is too much for these quiet villages to take and underneath are riddled with old mine shafts which I don’t believe has been taken proper account of. What we really need investment in is a HS3 connecting the north. Chris Grayling has already wobbled on his commitment on this leg of the scheme and a lot of people would be suprised if HS2 actually made it this far north. We need to let the government and HS2 know that we do not want HS2 tearing through our local villages. If HS2 does happen it should not come through Woodlesford and Oulton. A more direct tunnelled route, or a route following the existing transport corridors would be cost neutral in comparison to the complex viaduct and tunnel construction proposed. I am strongly lobbying for compensation to be available to all those impacted. I understand the frustrations that local people have. The fact is all the main parties are in support of HS2. However, it is the current Conservative government and the previous coalition government of Conservatives and Liberal Democrats that are responsible for the route, the compensation and the management of the consultation which has been abysmal. It is important that all local people have their say. We’re all really busy especially at this time of year, but lets not let that deter us all from commenting. It only needs to be brief to drive home to this government and HS2 the impacts on our communities. Public transport is a hot issue for local people, judging by the emails, messages and conversations every week from beleaguered local public transport passengers complaining about overcrowding, expensive fares, poor timetables, lack of routes and cancelled buses and trains. It’s so frustrating as a lot of the problems we’re suffering now can be traced back to the deregulation of buses back in 1986 and with train privatisation, with private companies calling most of the shots where all our public transport is concerned. Passengers have been so badly let down over the summer by the Northern franchise, Northern was originally awarded by the Liberal Democrat and Conservative coalition government. I’m as fed up as many other local people and sympathise with those who rely on the services every day and am fighting to get real public transport improvements. With this determination to bring about change where I can, I brought West Yorkshire transport chief Kim Groves to Rothwell and Woodlesford so she could see for herself how bad things really can be for local people. Kim says I’m always on her case demanding improvements for Rothwell, Woodlesford, Oulton and Carlton. This government won’t let Yorkshire be in charge of its own transport so we can’t force the private bus and train companies to provide better services. But Kim has pledged to put lots of pressure on them. I’m working with Kim so that Rothwell is included in the Leeds urban ticket scheme. I raised this with Kim when she first took over in May and she is working to resolve the boundary issues which have so far prevented Rothwell being part of the scheme which would give our residents the better value ticket. It’s disgusting that local people have to pay more to get into Leeds than people in Morley, Pudsey or Garforth. I’m working with Kim to get Northern Rail to improve the poor service from Woodlesford station. Our priority is to get extra carriages on the trains to ease the chronic overcrowding. I’m also campaigning for a bus between Rothwell and Woodlesford and Thorpe Park so local people can access jobs and the new shops and leisure outlets. Labour has pledged to take trains back into public control and many local people have told me is a great policy, I would love for this to happen. But I’m also hoping that devolution for Yorkshire will mean that buses can be taken back into public control so people get a cheap, frequent and reliable service. I’d also love to see Leeds getting a state of the art rapid transport system after losing out with Supertram and the trolleybus scheme. Leeds deserves so much better and I’ll keep pushing for this to become a reality. Cllr Judith Blake, the Labour leader of Leeds City Council, is leading the fight nationally to secure millions of pounds of extra funding and get decisions on transport to be made locally so that localities like Rothwell will benefit.